With our UNISONO Musical School Teacher’s Concert we celebrated the beginning of the New Year 2018. This time our Concert was entitled “Cristal Sounds” and took place on January 7th in the concert hall of the Fangor Manor situated in the beautiful Botanic Garden of the Polish Academy of Sciences in Powsin. It was the second concert organized and given by our School in the Teacher’s of the UNISONO Musical School program. 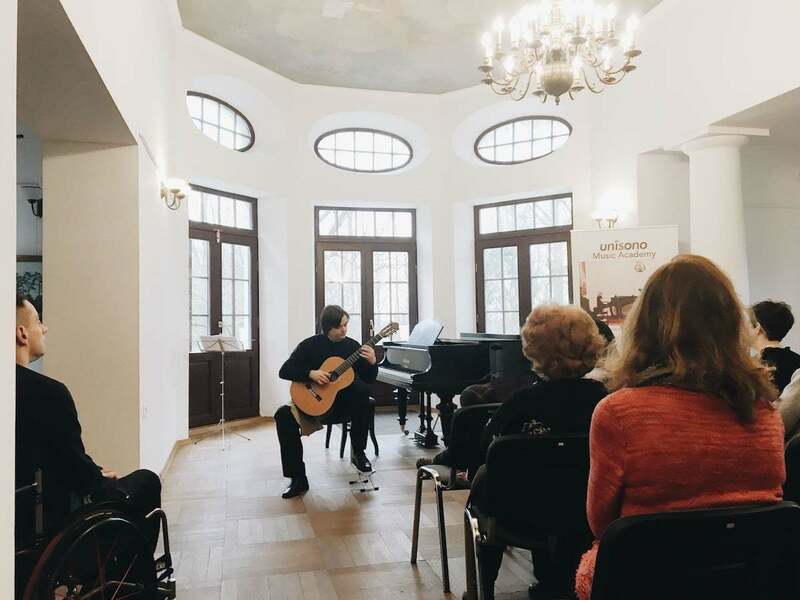 We were invited by the Director of the Botanic Garden to take part and enjoy the unique climate of the Fangor Manor and the surrounding nature and enrich it with the subtle sounds of classical music. Among the soloists we have the possibility to listen and enjoy: Krzysztof Komarnicki (guitar), Magda Lewandowska (piano), and a guest artist and former student of Director Zofia Zwolińska – Joanna Okoń (violin) accompanied by Katarzyna Glensk (piano). (Parts of that Sonata: Allegro, Andante, Rondo; Cantabilenon tanto allegro. Rapsody on Moldaw Themes – by Mieczysławe Weinberg. Fantasia in e-minor op. 49 by Frederick Chopin. The audience in the concert hall warmly applauded the soloists for their artistry in musical performance. The concerts performed by the teachers of our School have unique character . 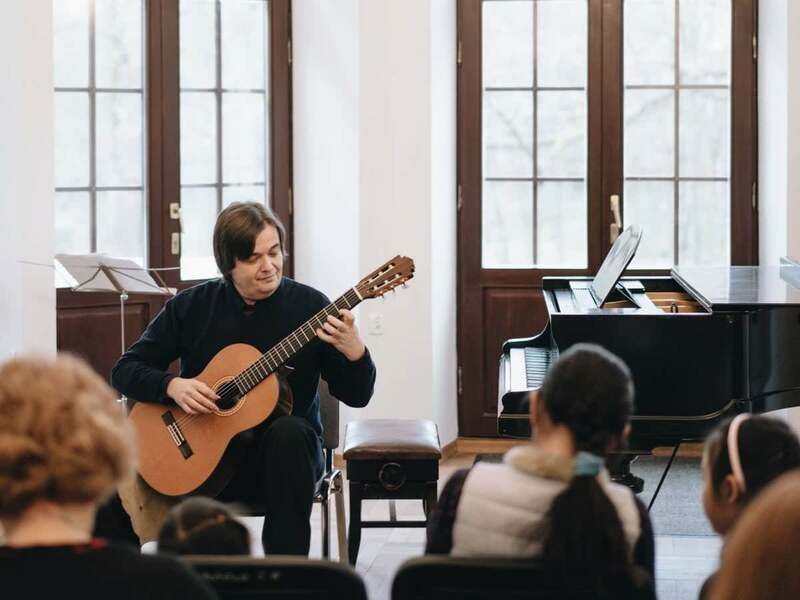 The same can be said about concerts delivered by the students of our School which are performed in the Fangor manor situated in the majestic surroundings of the Botanic Garden of the Polish Academy of Sciences in Powsin / Konstancin.